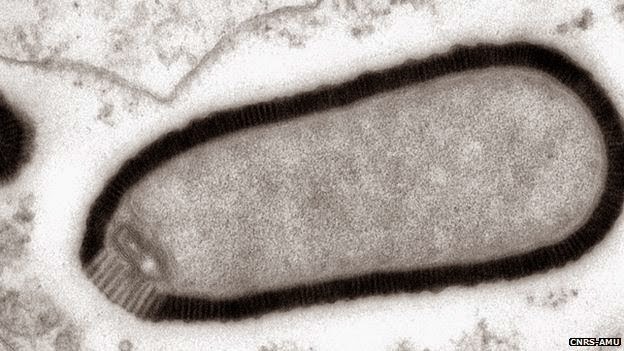 Discovered in 2014, as it was unearthed from Siberian permafrost ices, Pithovirus sibericum is so far the biggest virus that have been observed, dethroning Pandoravirus, Mimivirus or other giant viruses like Megavirus, through a capsid up to 1.5 micrometer long and 0.5 micrometers in diameter. Pithovirus sibericum was discovered when french scientists (Chantal Abergel and Jean-Michel Claverie) voluntarily contaminated a sample of ice collected from the Siberian permafrost, containing sediments dating back to Pleistocene, with amoebas. Amoebas are indeed the prime targets, according to last decade studies, of giant viruses such as Megaviridae and Mimiviridae. 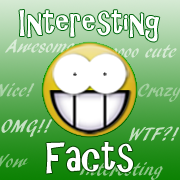 Noting the increased mortality, following infection, of amoebas, the research team was able to isolate Pithovirus, while demonstrating at the same time, that it was possible to "resurrect"* the virus imprisoned for 30,000 years in the ice. * Actually, viruses are not really considered as living organisms, but rather as a link between complex molecules and living forms. This question's still vigourous among the scientific community. 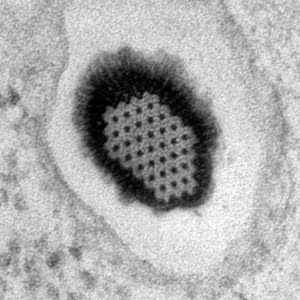 Although Pithovirus has a relatively dense genome, way less dense than, for example, the genome of Pandoraviridae, it shapes as an oblong capsule up to 1.5 micron long, ended with a "door" on the virus' body, whose structure looks like a honeycomb. The capsule diameter can reach 0.5 microns, making it the largest known to date virus, reaching a comparable size to bacteria. This is however not the most complex virus, since its 610,000 base pairs harboring 467 genes, represent only a third to a quarter (in size) of the Pandoravirus' DNA, the largest known for a virus, from up to 2.5 million base pairs. The scenario of viruses, imprisoned in eternal ices, that reborn (or rather, become active again - since viruses are not really considered part of the life kingdoms) with the help of crazy scientists could worry. Fortunately, giant viruses seem reluctant to multicellular organisms, and rather aim prokaryotic organisms, although a case of 11-month-contaminated by Marseillevirus, another giant virus, has already been observed. Could be kind of risky, though. Legendre, M.; Bartoli, J.; Shmakova, L.; Jeudy, S.; Labadie, K.; Adrait, A.; Lescot, M.; Poirot, O.; Bertaux, L.; Bruley, C.; Coute, Y.; Rivkina, E.; Abergel, C.; Claverie, J.-M. (2014). "Thirty-thousand-year-old distant relative of giant icosahedral DNA viruses with a pandoravirus morphology". Proc. Natl. Acad. Sci. U.S.A.